إن فندق The Midcity Motor Lodge بموقعه الممتاز في ارنج هو نقطة انطلاق جيدة لنزهاتك في أورانج. يقع مركز المدينة على بعد 0.0 Km فقط. ويمكن الوصول إلى المطار خلال 15 دقيقة. سوف يعشق النزلاء موقع هذا الفندق، فهو قريب من أهم المعالم السياحية في المدينة كمثل اورنج ريجنال, Ferment. The Orange Wine Centre., Worldly Treasures . يعمل The Midcity Motor Lodge على ضمان إقامة مريحة لضيوفه من خلال خدماته الممتازة وحسن ضيافته. يقدم هذا الفندق العديد من الخدمات الكفيلة بإرضاء أكثر الضيوف تطلباً. بالإضافة لهذا,تتضمن كل غرف الضيوف مجموعة واسعة من وسائل الراحة . بعض الغرف توفر حتى تلفزيون بشاشة مسطحة, اتصال لاسلكي بالإنترنت, اتصال لاسلكي بشبكة الإنترنت (مجاني), غرف لغير المدخنين, مكيف هواء لإرضاء أكثر الضيوف تطلباً. يقدم الفندق العديد من الفرص للاستجمام كمثل مسار جولف - ضمن 3 كم, حديقة. مهما كانت دواعي سفرك فإن The Midcity Motor Lodge هو خيار ممتاز لإقامتك في أورانج. Property is going to be redeveloped into a new facility. The room was tiny and was lacking what you would normally get in a hotel today. The dining was the best part as the quality has remained consistent over many years. 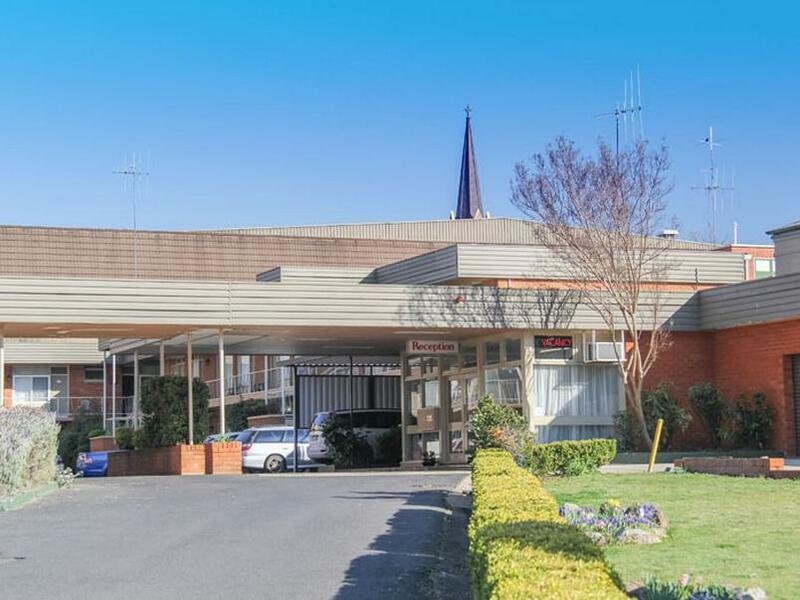 This motel is in an excellent location, very close to the city centre of Orange and opposite the very pleasant Richardson Park. The room was smaller than average but quite OK. Okay for an overnight stay and no frills hotel. Beds and things inside are a bit dated, but it's okay if you're not fuzzy about it. One main comment that we have is that there is an unnecessary light fixture on top of the bed where you can easily bump your head. Location perfect for a 1 night stay with everything within walking distance. Internet was not working but not told of this at check in. Biro provided in room not working. As a solo female travellor I felt second class at check in and check out as if I was a second class citizen. A great pity of the woeful customer service as the location is excellent and provided adequate room facilities. A lot of external noise from the car park adjoining the motel. The TV in the room had a small screen making viewing difficult. Overall the motel is tired looking and in need of a revamp. Rooms were clean and functional. Little dated but I believe they are soon to be upgraded. Central location and close to all facilities. Quiet and comfortable accommodation. Great central town position, great value. Stayed in a Budget room for one night, which lived up to its name. Small room with one double and one single bed. Coffee/tea facilities, average sized bathroom with shower. The room had reverse cycle air con which really helped as it was July! The room was on the ground floor and right near a very loud generator room. I'm not sure what was in there but the motor was running most of the time. There was one other room between ours and the generator, it must have been even louder for them! Staff were pleasant but non-existent when I went to check out. I suspect they may have also been doing the room cleaning as that was underway when we checked out. We just left the keys on the front desk. Great location in town, easy walk to everything. I would recommend this place for a quick stay where you need to be near the action in town, but don't need the luxury. Everything was fine except that the rooms were very small, only really suited to one person/bed. i booked 2 rooms side by side they were exactly what we needed and the location was in the cbd centre and handy to all our needs. not bad to stay when visit Orange. Very small room. Little cupboard space. One chair, no table. Suitable for one person only, although booked for double. Very basic accommodation but did the job. The room felt dirty and it's overdue for a makeover.